This statement, consisting of one page, signed by me, is true to the best of my knowledge and belief . I am police inspector 4356 Johnson of the Leicestershire police, currently based in the criminal unit. 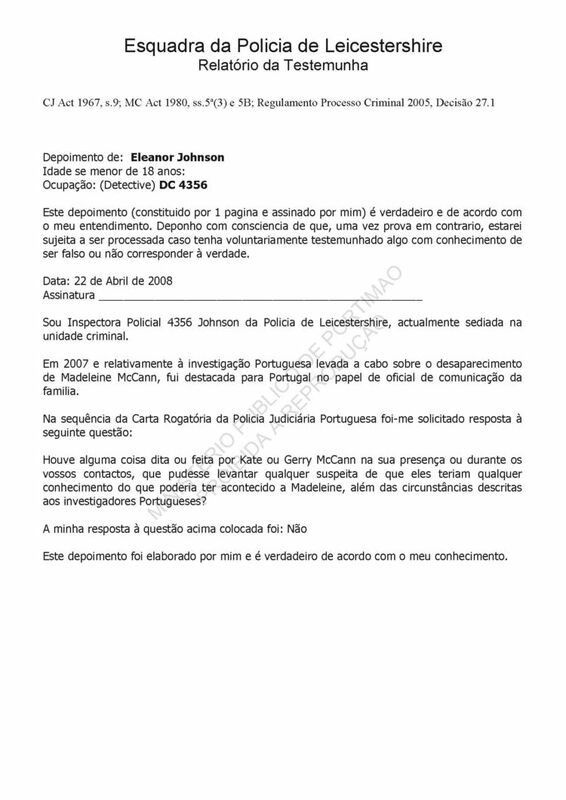 In 2007 in relation to the Portuguese investigation into the disappearance of Madeleine McCann, I was sent to Portugal in the official role of liaison officer to the McCann family. 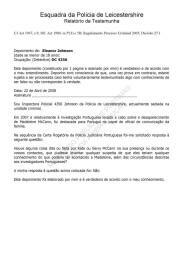 Was anything said or done by Kate or Gerry McCann in your presence or during your contacts that may have raised any suspicion that they had knowledge of what happened to Madeleine, besides the circumstances described to the Portuguese investigators? My response to the above question is: No. This statement was made by me and is true in accordance with my understanding.